The process by which humans redistribute themselves and settle over connected sites may be done using the Radiation Model. Here, a mean-field approximation was used to approximate the final population density distribution over sites connected as regular and random networks. We provide explanations of the resulting steady-state settlement patterns as similar to the dynamics in smaller subnetwork configurations such as: isolated pair, linear subnetwork, and triangular network. A linear network of three nodes would either have the total population in the central node or spread equally with its edges replicating an agent-based simulation. For a triangular network with an equilateral topology, the population is expected to be evenly distributed. In the case that one of the settlement sites were to be completely evacuated, then the population would be evenly distributed between the remaining two sites. For a triangular network with an isosceles topology, the population split between the two sites that are closest to each other. Simulations on three random networks showed that the steady-state distribution obtained with the Radiation Model is independent of the initial distributions of the population. The steady-state distributions showed patterns similar to those observed for the simple triangular cases. A special case was observed for Random Geometric Networks where sparse connectivity yielded a different steady-state for different initial population distributions. C. O. Cabatit and J. Bantang. 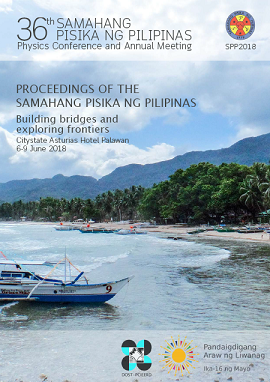 Mean-field approach to human settlement patterns using the Radiation Model, Proceedings of the Samahang Pisika ng Pilipinas 36, SPP-2018-PB-38 (2018). URL: https://paperview.spp-online.org/proceedings/article/view/SPP-2018-PB-38.